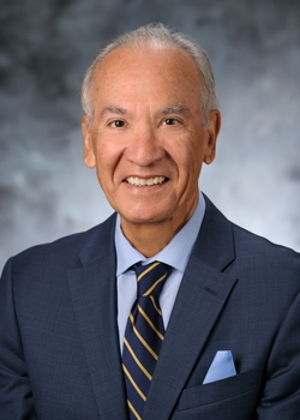 Professor Mario T. Garcia will discuss his latest book, a biography of Fr. Luis Olivares. 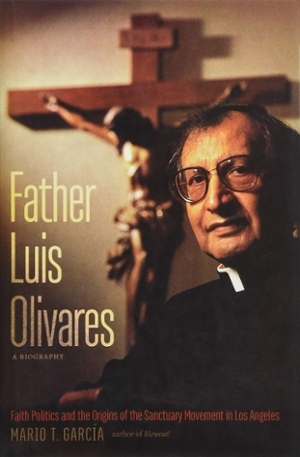 A Catholic priest and a charismatic, faith-driven leader for social justice, Olivares was at the forefront of the powerful sanctuary movement in Los Angeles. Beginning in 1980, hundreds of thousands of Guatemalan and Salvadoran refugees fled repression and violence in their homelands, seeking asylum in the United States. They were rebuffed by the Reagan Administration, which supported the governments from which they fled. In an effort to counter the Administration's policies, the sanctuary movement, which Dr. Garcia's talk explores, rose up t oprovide safe havens in churches and synagogues for thousands of these Central American refugees. Co-sponsors: Office of the Provost; Social Science Program; School of Arts and Humanities; Walter W. Stiern Library; Kegley Institute of Ethics, Institute for Religion, Education and Public Policy; Latina/o Faculty and Staff Association; ASI Instructionally Related Activities Program. As one of the oldest of the liberal arts, the study of history emphasizes the importance of reading widely and deeply in the sources of human civilization and develops in its students the skills of thoughtful analysis of evidence and effective communication. History is also fun! Truly understanding the past involves careful investigation and detective work. Reconstructing the past with limited (and often conflicting) evidence is an exciting challenge that often leads to the thrill of discovery. The Department of History at California State University, Bakersfield offers Bachelor of Arts (B.A.) and Master of Arts (M.A.) degrees in History. The department also offers a program of study leading to a California Teaching Credential in Social Science and a Minor in History. Please click on the links at left for more information about the History Department at CSUB. Learn more about why you should study history. You may be surprised at some of the many famous people who studied history in their college days. My experiences at CSUB brought me into contact with incredibly thoughtful, sincere, and intelligent graduate students, and I am a better person for knowing them. My CSUB experiences were fantastic, and I have become a great cheerleader for this tremendous university and department.